On this, my mother, Edith Schaeffer’s 100th birthday, I would like to pay tribute again to her life as my father Francis Schaeffer’s closest friend and co-worker. Thank you for all your hard work, imagination, creativity and unique care for any and every human being you came in contact with. We remember her death on March 30th two years ago at 98 and 5 months. I should really go back to the past summer and start there. Summer is usually quieter, with beautiful weather and somewhat more restful days, possibly a vacation. Family visits with our ten grandchildren and their parents here in Switzerland are a great enjoyment. Isaac joined us for a month to teach in the Summer School of Aiglon College, where he graduated 8 years ago. It is a time to catch up on one’s reading and writing before the schedule of autumn and winter. We had many wonderful times together and even returned to our beloved island of Elba for two weeks in early September. But everything has been greatly disturbed almost daily by the very troubling news from so many parts of the world. Cruelty among people is spreading, like unstoppable fires, all around the world. Reports and evidence of increasing violence, murder, persecution, neglect of the weak and poor benefit from the breakdown of law and compassion everywhere! Layer after layer is peeled away of what until recently was subject to a different, though relative order. The arrangements among people in personal, legal and contractual terms is coming apart at the seams like an old garment. A carefully created order of widely accepted rules, the common language of law and contracts, and the effort to pursue equal rights for people to be treated as such are all now threatened (as they have been before, subject to inhuman 20th century ideologies..) Even in what is called ‘The West’, the network between those above and those below, between management and labor, has been weakened or even fallen apart. Their foundation in a Western – Biblical – Humanist view of things is seriously challenged. Greed, lust of power, the wrong use of law as blank power instead of restraining evil, and the pursuit of ‘the possible’ rather than ‘the moral’ break the unity of moral/cultural cohesion. The guiding interest is more egocentric than communitarian. It follows evolutionary possibilities of the moment rather than long-term moral and social pursuits. We always love ourselves always, and occasionally also our neighbor, but only when they are like us! It only takes one generation failing to pass on the reasons for their convictions, the explanations for their view of things and people. Both faith and practice are easily lost when circumstances and personal interest alone shape a person’s outlook. We select information limited by personal interests and programs. That also contributes to the fragmentation between people, families and generations. Information from ‘individualized’ channels or screens makes examination of it, comparison with other sources, and even longer discussions, that much harder. Instant impressions appeal to changing emotions. They meet the person in the heights or dumps of their isolation and thus appeal, as St. Paul told the Ephesians, much more to sensations, regardless of what makes sense. Can a society, members of several generations, stay and live together when each person sees only what he prefers on his private electronic or intellectual screen; when she believes what meets her expectations and decides by spontaneous personal preference? Perhaps all social fabric was and is only held together by common desire to trade, to be paid and to advance. But resentment, anger and a lust for power and ‘identity’ have taken over in recent years. In fact, the openness of markets and their products, the internet breaking down political borders and intellectual restraints, the pursuit of freedom from others contributed to fragmenting individualism and isolation. For the past 70 some years, there has been an inevitable awakening of other, non-European nations. They rightly insist on adding their views and claims to decisions affecting us all. That is somehow parallel to a family’s need to respect, include, and listen to their growing children. Mum and Dad are not free to make decisions in their pure self-interest. Our drive to spread education, commerce, democracy and human rights, even the idea of a nation itself, inevitably increases the social pressures we witness in Arab Springs, in the heat of radical religious fervor and the rise of proud nationalism. After the mix of perhaps well-intentioned, but often exploitive scrambles in the 19th century to rule the world, the major countries that gave birth to a ‘democratic’ family of nations, have neglected to make their case sufficiently for the need to practice the rule of law, reason and compassion within a common humanity. They were perhaps too full of themselves, unconcerned and perhaps even disinterested in the thoughts and needs of their intellectual and cultural offspring. Certainly, the amount of corruption all along, the pursuit of material advantage at the expense of moral maturity, spread more widely and discredited the claims of truth, refinement and/or superiority. We have not consistently engaged people from other cultures intellectually and morally. We have embraced Adam Smith’s description of the “Invisible Hand” that guides economic activity. But have we not, especially in recent decades, neglected that the same Adam Smith also taught the need for “Moral Sentiment’ in society, the respect, care and empathy for neighbors anywhere also in areas other than economics? So now the children we have helped raise, the nations and cultures whose people we have helped shape, demand not only to also talk at the table, raise their concerns and even claim better insight. They denounce, accuse and go their own way. There need be no worry about a multi-polar world, or family, if outlooks on central issues of human life and individual responsibility are largely agreed on. Instead we have fractured relations, contrary pursuits and opposing views of Man, law and society. Our own failures gave the example of irrationality and real evil. The violent reaction to colonial rule includes many forms of fundamentalism, political and religious. Had we been more enlightened and held to the view of a common human family, the rise of totalitarian rulers, exploitive capitalism and countries without respect for the rule of law would have had a much more difficult evolution. Evil would have been more restrained by concerned and moral citizens. Businesses would not have traded with corporations that see people as means of production and exploit them without a living wage. Corrupt rules would not have been welcomed internationally. Rulers like Mugabe of Zimbabwe would not have been able to cheat, rob, violate, exploit, impoverish and insult his people and their land. Still, in recent decades we had some confidence and expected increasing order. We thought it stood on more solid feet, would last a bit longer and would give shape to the world in which our children grew up. But instead: How did common norms, ways of interaction, shared concerns for people disappear, as by a violent flood, in so many corners of the world at once? We all, many of us Christians as well, have lost the central ideas which we inherited from the Bible’s teaching about an invitation to life within the restraining form of reality. That created a reasonable picture of free people and their interaction, restraining their autonomy by demanding respect for law, logic and honesty. Niall Ferguson shows in his book “Civilization” the benefits from the right to life applied to physical conditions, expanding it to liberty and property over centuries, and increasingly recognized around the world. That teaching corresponded to the affirmation that people needed and deserve, upheld and crowned by a genuine ennoblement of “Man made in the image of God”, now conscious of their subjectivity and responsible sovereignty. Not that anything really satisfying and moral was accomplished everywhere. But the obligation was recognized, efforts were made, and frequent reviews of failures censured. Even without a recognition of the unique source of this higher view of people, the effect of it in Western and largely freer cultures spoke for itself, was noticed, if not admired, and frequently copied. From human rights to education, from the free flow of information and discovery of new skills, to a less difficult and burdensome life by the harnessing of nature: Here the Bible’s proclamation over generations brought about a human awakening above the constant exposure to mud, cruelty and early death. What is widely taught as religion, and imposed by dictatorial political ideologies, was exposed to both the God of the Bible and the human person in God’s image. Science, medicine, the rule of law (guaranteeing that reality is bound by definitions which it exhibits all the time), respect for people and their work, demanding honesty and accountability all around are the rich harvest grown to set people free. The Swiss reformer Vinet wrote: “Christianity is around the world the eternal seed of liberty”. Usually we recognize the material and spiritual freedoms, but we should also embrace that freedom which is expressed in generosity, compassion, a thinking mind, a purposeful pursuit of more than single goals and private achievements. I wonder how much we also, inadvertently, have taught our children, both actual and other people who looked to us as some form of model, to be ambitious about the very things that make us less human, less compassionate, and less thoughtful. Are we driven by a single purpose, (such as success, happiness, gain, personal salvation) rather than by the desire to be more fully human? In our freedom to choose goals, do we become fettered to a single one? This shoe fits us all in our modern world: Parent and child, pastor or church, politician, even policemen! No, I am not playing with the letter ’p’, but acknowledge how easy it is to focus on a single goal that does not include life’s multiple challenges, including contradictions, and often unresolved situations. For that is in fact how human existence is experienced at all times: unresolved. We wait, hope, believe and adjust! President Obama rightly pointed out the 2015 Prayer Breakfast in DC the pitfalls, the cruel arrogance, of claiming a final truth for ourselves: that is the mark of fundamentalism. For, at present we see only as in a glass darkly. A church can define itself more narrowly than a state or a community of people. Outside of church, we are all members of one human race. In early December, immediately after six weeks on crutches for Deborah’s second hip replacement surgery in Lausanne, we both went to Oxford. I had been invited to give a talk to the Christian Graduate Forum at the University. My subject was “Ideas come from God, Ideologies from Men”. 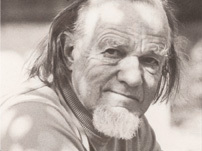 You will find the talk here http://graduatechristianunion.org/mr-udo-middelmann-ideas-are-from-god-ideologies-are-from-man/ and also on the Schaeffer Foundation’s site. I wanted to show how people, made in God’s image, are to create, explore, discover and apply ideas to an unfinished creation, where God mandated us to be human, free to create, to add to all God had made, to name, love and learn. History is an open unfinished book, unscripted, glorious and disappointing, a mess at present, but then to be gathered into an expanding eternal and dynamic continuity without end. Christ will reign on a restored earth over all in real history! Human beings are called to live with ideas because we are in the image of God, himself full of ideas: just look at the variety, power, size and smallness of things. God had the idea to create a real universe, then had ideas about greater and greater details, distinguishing each thing from any other, and each person from their neighbor. This did not happen at once, but in sequences of time: Endlessly, expanding, enjoying and loving: Behold, it was all very good! But ideology is every attempt to find closure, to get rid of the openness of life, people, and of ideas, which are seen to leave things untidy and insecure. Ideologies see a finished world, a pure race, a certain sequence, a necessary closure. It derives from the Greek idea of perfection, where nothing changes, can be added, or is adjusted. Any such ‘change’ would imply imperfection before the change. ‘Perfection’ to the Greek mind is static, finished, closed, and determined. Eternity or Heaven for Plato is the absence of physical and changing reality, where everything is concluded, finished, silent. You quickly see how the desire to remove the uncertainty of life, of people and their choices, their thoughts, their creativity, their challenges is at the core of all ideologies. Common is the desire to impose a closure by either seeking a nostalgic past golden age or a utopian future. Marxism and fascism promised heaven on earth. Extreme Greens seek a healthy, anti-intellectual past in nature’s bosom. Liberals believe in the good outcome of democracy, and totalitarians in powerful controls. And all religions, with the exception of the Bible itself, teach that God controls everything: Diderot rightly mocked that teaching of the church in Jacque le Fatalist, said “C’est écrit en haut”. Most Evangelical Christians seem to believe, encouraged in books by John Piper, Tim Keller, Don Carson, and William Edgar et al. that it is good manners to say the same: Everything is God’s will, his doing, following his purposes. It is all already set down, scripted, and therefore it necessarily has or had to happen. Each of them delight in their seeing a mystery, which is not there according to Scripture. How God relates to the presence of evil is not mysterious. For certain, God is not the author of evil, he fights against it and intervenes in word and action to heal a broken creation. However their view proposes “closure” in the same ‘Greek’ way and therein contradicts the Bible, the person and teaching of each member of the Trinity: their efforts call us to action, decision, and practical opposition from moral minds. God’s being is not revealed in the events of history, but in the Bible. The other version of Christianity or Judaism bows to Greek views and rejects the unique and clear Biblical teaching. Yes, I bang on about this repeatedly (The Innocence of God, IVP; God and Man at Work, Wipf and Stock), as only the Bible and its effect among Jews and Christians has ever addressed people as responsible actors under God. Yet we “just believe” and do not really act, if the final program is in anyway happening already. Life then is theatre, not lived in daily challenges. Bernard-Henri Levy brings this powerfully to our attention in “The Testament of God”, pointing out how God alone gives us the freedom to be human. Yet with the Enlightenment on one side and the horrors of the 20th century, continued in the atrocities of fundamentalists, it is hard to believe in God. The heaven is empty, leaving us only the option of anarchy or totalitarianism. The former is practiced by individual selfishness and party politics, the latter in uncontrollable state authority. Only the Bible stresses both form and freedom, both the self and the community, the need for freedom and order: freedom to be a person with ideas, rights and responsibilities; and order to limit excesses in the pursuit of freedom. Apart from the Bible, even anarchy becomes totalitarian in its effect! You would also enjoy Jonathan Sacks’ books “Covenant and Conversation”, the most wonderful discussions on God’s developing real personages in Genesis and Exodus. Delight and stunning discoveries await you there! What profound insight into the way of God with people. On another note, but related, I must also encourage you to read “Saving Italy” and “The Monuments Men” by Robert Edsel. George Clooney’s film rendition is enjoyable, but not as interesting as the books!! They tell of that daring, amazing, unique effort of the Allied forces to save European art as a human inheritance for all mankind. Hiring and drafting into the military, trained to destroy and defeat, museum directors and curators in the US, France and Great Britain. They mapped, moved and marked thousands of works of art to save them from necessary war time bombing, but also from Hitler’s wicked efforts to steal or destroy it, and from Russian confiscation as war bounty. They did not act according to some scripted divine purpose, but following mandates to do good, seek justice and resist evil. There would far less art today have they not chosen to be human, moral, creative and educated professionals, and all together compassionate! The heritage of a more Biblical view is being diluted and destroyed in so many areas. Human efforts for shared interests and interactions across national, geographical and cultural divisions have become more fragile and fall apart like moth-eaten cloth. Yet no moths, but bigger beasts gnaw at the fabric and violate human beings, laws and rationality in the process. When the Spanish painter Goya wrote in the early 20th century in relation to some of his works that ‘the dream of reason produces monsters’ he referred not only to the rise of Fascism and Communism, but also to the decline of morality in a time that knew only material limits to its excesses: everything possible became now justified. Without the God of the Bible nature alone decides, as evolution suggests, replacing God and moral discernment. But without God, there is no human being in the image of God either, and Man is free to behave like a beast! We may have thought that this was eliminated by the defeat of fascism. Yet, our society’s reason, dulled by slumber, is now bedeviled by creatures that prowl from under the ground into the light of day. Goya painted owls that were symbols of folly, and bats symbolizing ignorance all around us. One of our follies is to reduce Islam, Buddhism, African tribal cults and social patterns to the status of harmless and inconsequential religious views relegated to the private spheres of people. The Christians focus on harmless and largely inconsequential church activities as, almost, the sole remedies does not, and can not, withstand such serious problems. A personalized Jesus and ideological pronouncements of doctrinal points do not nurture people exposed to the real world. The light of the wholeness of Scripture needs to be turned on to sharpen our minds, to awaken our passion and satisfy our longing to understand and resist. Churches too often focuses more on personal stories, anecdotal evidence and concerns about personal advancement than how practices should be informed and corrected by serious study and passionate engagement with our time and history, present and future. A focus on the personal (a single Bible verse projected on a screen or wall, coffee during prayer, numerous weekly gender-and age-specific Bible studies, fellowship over cupcakes and complaints) will not encourage the pursuit of justice for others, nor lead to compassion, nor seek ways to counter the evil perpetrated at home or abroad. A sauf qui peut attitude (‘see what you can get away with’) too often permeates thinking where people seek a heavenly rest rather than the power of the Lord, here and now, in what we do and think. If the material creation, events in history, other members of our one human family, the human body and the mind do not matter much in our belief, we will have no concern for them. If heaven is our desire, we will have little desire to serve God’s creation. If ‘saving faith’ matters centrally, we will hardly be interested in gaining knowledge developing the mind, the body, and the wellbeing and justice of the city and its people. There is often a lack of common sense to guide believers in the necessary attention to real human need. Two observations have recently confirmed this to me. Scripture surely emphasizes that we must carry out into practice what it tells me about life. God created a world to be known. Now that it is a broken world, corrections need to be pursued as we study every aspect of the created world. There need to be actions that follow what is understood as true, right and good in any area. Scripture tells us to practice what we have learnt in any job. The Law lays out moral distinctions. Disciples of Jesus are not those who believe certain things only about being saved, etc. Instead they submit to the discipline of what God in Jesus tells us to do: love, serve, seek justice and pursue, favor and protect, as moral and thinking human beings, each person’s life, in any area of life at present. Where this is not understood, the Great Commission of Matthew 28 is limited to doing evangelism. Yet the discipline that comes from insight of, and obedience to, the law to “love God with all heart, mind, soul, and strength, and one’s neighbor as oneself” requires more. The concern about eternity in a place called ‘heaven’ removes the obligation to do what is right every day wherever we are at work. The rejection of some rabbinical habits at the time of Jesus does not imply liberty from the demands of lasting social, moral, and scientific laws. Let’s do it then, instead of, like the Pharisees at the time of Jesus, citing verses as justification for faith. For, the real challenges and demands of the Bible lead to corrections of basic assumptions and practices in life. Be a good citizen, think morally, feed the hungry, care for the poor, pay your taxes, teach reading and other skills, and pray for wisdom in all decisions to know how to love and serve. Earlier I refer to beasts that have broken out of the net of rules and conventions that made life somewhat safer, prosperous and exposed to the critique of law and reason. Now they show their teeth, to stay with the picture. Oh, there have been many before, who like ‘The Wild Things” in the Sendak book rule the night. We know of the pattern of cruelty to people through deliberate starvation, fear and lawlessness in North Korea. We know of the extensive cruelty of Mugabe of Zimbabwe, whose greed has turned that once rich and blossoming country into a basket case, a land filled with lawless violence and a mockery of democracy. For the past year we heard more about cruelty in Ukraine, where Russia’s President Putin continues to shave away bits of land, parts of agreements, international treaties and human rights to build a “Novorussia”. Putin exploits his frustration that Russia under his watch has become remarkable only for its natural resources of oil, gas and minerals which it gets out of the soil, but not for great accomplishments of cultured, sensitive, educated people in a civil society. That would require educated human minds, which Putin has not allowed. Putin may have his reasons to feel resentful, not enough respected; who knows whether greater appreciation for the effort to have a Winter Olympic in warm weather conditions; whether deciding to lose the ice hockey game and let Russia win; whether avoiding comments about the cost of the Olympics, or the brown water in the taps would have made a difference. I don’t think so, as Putin already complained about the dominance of western ideas five years ago in Munich. The respect he seeks he now gets only because his behavior is wicked and fearsome. He has in fact started nothing less than a war in Ukraine, and might well take it further to reclaim regions formerly under Soviet control. Putin wants to wear the mantle of the historic Russian Empire, and like it, enforce state laws to enforce religious purity. He exploits the memory of the soviet defeat of fascism to advance his own version of fascism. He pretends moral concerns, while supporting immoral rulers, a lawless judiciary, a corrupt business climate, etc. Gain territory, conquer non-Russian people, civilize the Asian world and gather again the lost lands of the collapsed and defunct Union! The experience of shame of its collapse, the loss of power and respect in the world weighs on him. His way is to enslave, to impose power, not to encourage human moral, intellectual and economic development. He creates fear, not admiration in the world. The mask has come off his face and the KJB features are again visible. The reason for his approval by people in Russia itself must lie in the centuries of pagan teaching about the exceptionalism of a, of any people, as if that came about by genetic factors. A different alphabet, a wider gage of rails and train cars, a claim for Orthodoxy as purity of true Christianity, the rejection of both the Reformation and the Enlightenment, the fear of foreign invasion by armies and ideas, and the persecution for generations of individuals, intellectuals and foreigners together support Putin’s program to demonstrate the uniqueness of Russian: always neglected, persecuted, threatened and therefore always on the defensive. This is in no way new, nor limited to Russia. We admit that it is easy to confuse loyalty and admiration, nationalism and dedication. We also have had our love relationship with ideas of exceptionalism: Just think of France, Germany, Italy and the US. Yet the hermetic enclosure of Russia, first by religious and historic measures, and then by closed borders and collective propaganda recitations about the advantages of their version of socialist totalitarianism, “the envy of every other country” left behind a belief of their own superiority. They are the result of their belief, a new face of mankind, a wonder to the world? Yet Putin’s only way of demonstrating it is through instilling fear of further military conquests, imposing by force respect through power, since he cannot at this time gain it from admirers of social, economic and cultural accomplishments in Russia. In materialist fashion, Western things have flooded the market, but not habits, ideas, and knowledge. For almost a hundred years Russian civil society has been destroyed. Materialism put the lid on human imagination, and nationalism closed the door on outside sources of knowledge. Orthodox theology and church takes pride in an exclusive spirituality without the continuing discussion about ethics, purpose and human life. Without the Renaissance and the Reformation, that religion is static, repetitive and indifferent to questions arising from the complexity of life. All three areas severely squeeze culture, the economy, education and government and thus render little service to people. All human and material energy belongs to the state, to the dominant ideology and to material power. The power of good ideas, and the benefits of greater intellectual and cultural freedom for every area of human enterprise had no admittance in the past ‘scientific dialectic’, nor in the current consumer materialism. Russia wishes to be great again, to play a major part in the orchestra of nations, to contribute to a broader consensus than the present Western one, to be taken seriously as a mighty nation: But its philosophical outlook is still materialistic, things are weighed in terms of power, not truth and character. Human rights are curtailed, the unusual is punishable, the state alone is allowed to be successful, and laws are made to support the ruling elite and its practice of corruption...so that corrupt gain can settle in London, Paris, New York and Cyprus. I remember again the impression I gained when I met with people while teaching in 62 different states of the former Union. Then and now too many Russians still think in terms of power and weakness as material forces, of victory and loss, of hostile competition; and of war as a way to gain access to resources. In the materialist worldview all reality is reduced to weights, measures, and mechanics. You push a button, make a rule, and arrest a person to get results. In Public there is little experience of civility or of the power of ideas, and kindness and generosity as ways to the human heart. Only in private contacts I received much of generosity, thoughtfulness, curiosity and conversation: all what is absent from the public image. Where were the Russian volunteers that go to West Africa during the present Ebola outbreak? What can the country export, besides things found in the ground from nature? What are good ideas or reliable local products for the common citizen? Putin only gains attention through fear, the robbery of the Crimea to continued violence from “vacationing” Russian volunteers!